Our project team will advise you when you are planning buildings. 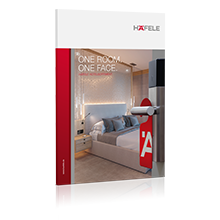 The Häfele project specialists will provide you with advice from identification and access control to door fittings and intelligent interior fitting. We also provide support in all phases of project work – from design to planning and tendering, to implementation and customer support. Contact the Häfele project team directly or use our contact form. Please fill out the following fields and a Häfele employee will be in touch to advise you with regard to your concern. We would be glad to assist!